I hope they do an 0-16 parade! Edited by BowlCity, 31 December 2017 - 06:27 PM. Now they get the #1 and #4 pick in the draft. That should be a good start toward some rebuilding, eh? rebuild around the d, get a decent running game going and sign a quality FA quarterback. They have tons of draft picks and cap space. They should be a playoff team in two years if they have a competent GM and coach (yeah big 'if' i know). going back to that 2008 Lions team, they were 2-14 a year later. 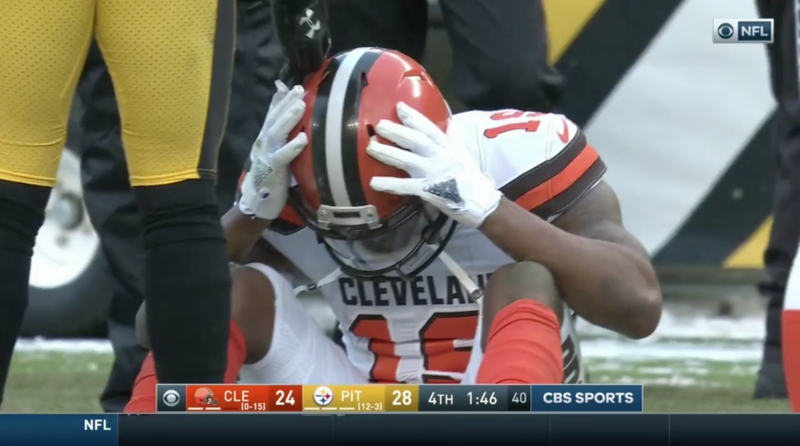 The Browns won one game last year so they have the honor of having the worst combined record over 2 consecutive years. Oh yeah, don't draft a QB...they always screw that up. Spend the money on a proven vet. Edited by HemiBeers, 31 December 2017 - 07:50 PM. I think Cutler will be available. Or there's always a McCown out there. Edited by laughedatbytime, 31 December 2017 - 08:04 PM. Johnny Football is still available. The season in Canada starts in July 2018. As does something else that might appeal to the young man. Greatest trivia question of all time...three times in the history of the modern era of Cleveland Browns football they have drafted a QB at #22.
or looking at this from a different perspective, here's the ones they missed drafting recently. wentz and watson are the obvious ones. ya know, when he was backstage on draft day and chugging beers even though he was underage i thought...oh this isn't a good first impression. sooner or later, washington will stop franchising cousins and he'll be available. Technically it was the 2007, or 2007-2008, Lions. I would have sworn it was the year the Patriots went 16-0. They did have a parade yesterday. You probably just remember when the Lions flew a kid from Haiti in to watch one of their games that year and he was wearing one of those Patriots 19-0 t-shirts aid workers were giving away the previous spring and they showed him on the telecast and you got confused.